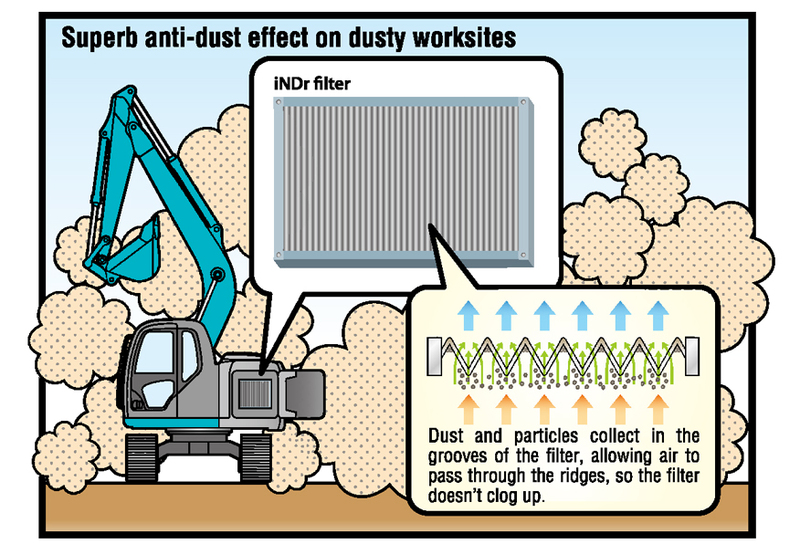 iNDr - Kobelco Construction Machinery Europe B.V.
Kobelco’s innovative iNDr – “Integrated Noise & Dust Reduction Cooling System” is a superior method of noise suppression that promotes low noise, exceptional engine cooling, enhanced reliability, minimal machine downtime and a more comfortable working environment for the operator. 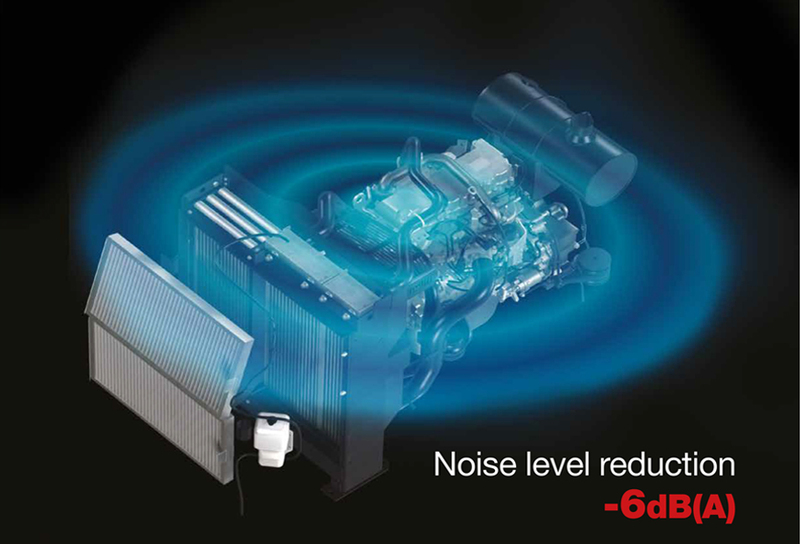 The vast reduction in noise output not only makes a significant impact in environmental wellbeing in urbanised areas, but also enhances the operator’s in-cabin environment. Associated ground crews also benefit from the low noise output when working in close proximity to the machine. 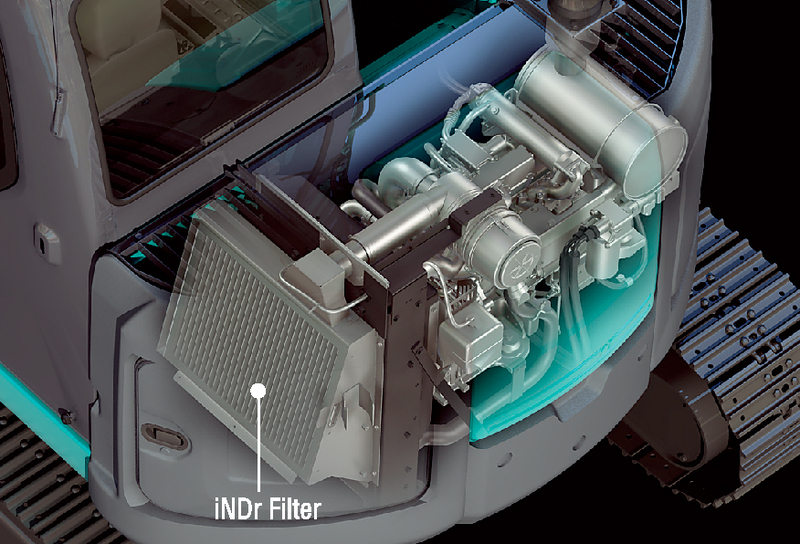 The iNDr dust filter on the intake side keeps dust from entering into the engine compartment. External air feeds through the patented iNDr filter system to trap dust preventing it from entering the engine compartment. This creates a virtually dust-free air-flow, which improves the efficiency of the cooling system and further amplifies engine reliability. A clean engine compartment due to eliminating dust by the 30 mesh iNDr air inlet filter, contributing to clean daily inspection and maintenance. 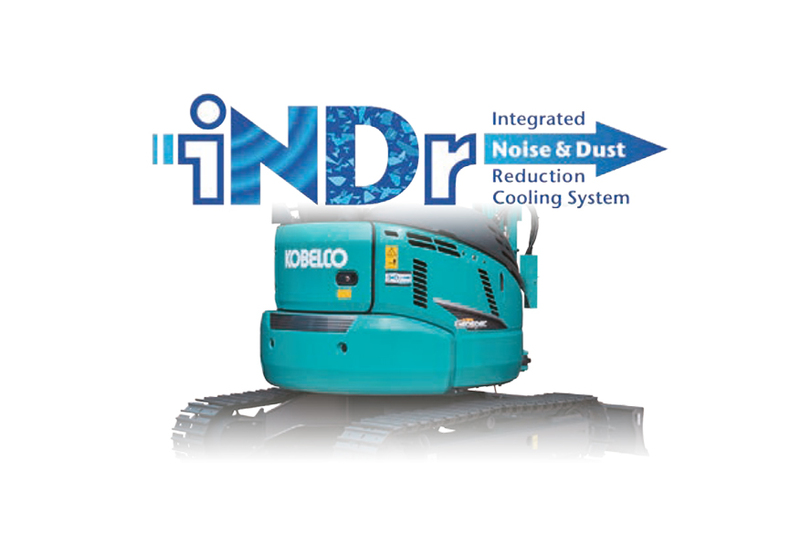 The superior iNDr system was first introduced on the SR class of Kobelco construction machines in 2013, but has since been integrated into a number of other Kobelco models including the SK28SR-6, SK30SR-6, SK35SR-6, SK45SRx-6 SK55SRx-6, SK75SR-3, SK85MSR-3, SK140SRLC-5, ED160BR-5, SK230SRLC-5 and SK270SRLC-5.